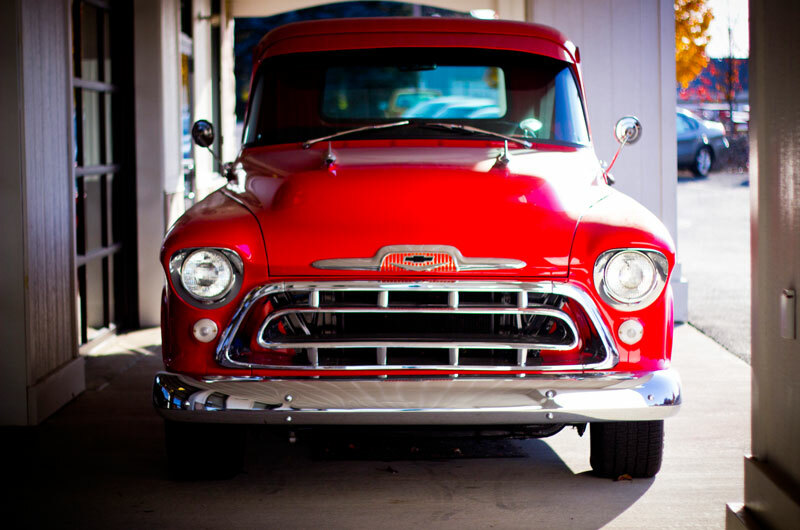 Get Your Vehicle Back-To-School Ready. Back-to-school season is here, which means family vehicles & drivers will be on the road more than ever. 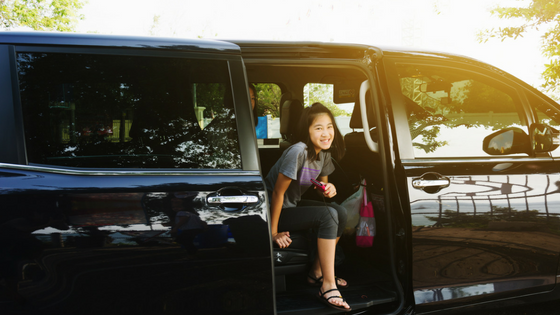 The Car Care Council has released a 5 point checklist that will help families get their vehicles ready for carpools, playdates, soccer games and more this fall. 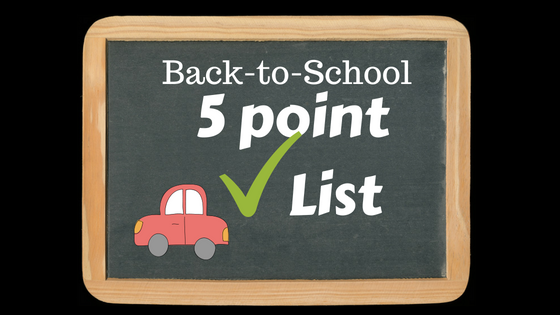 The checklist includes basic but valuable maintenance and safety tips that will help keep a vehicle running safely and efficiently throughout the school year. The Car Care Council is the source of information for the "Be Car Care Aware" consumer education campaign promoting the benefits of regular vehicle care, maintenance and repair to consumers. For the latest car care news, and other information visit: http://media.carcare.org. Here’s to a successful and “stress-free” school year! When you travel by motorcycle, the journey becomes the destination. A scenic roadway like no other, the Big Sur section of California’s coastal highway offers crashing surf, towering redwood forests, seal-dotted beaches, and enough curves to keep you contented end to end. This cliff-hugging ribbon stretches 120 miles and has frequent turnouts for enjoying the stellar views. Planning: Avoid summer weekends and dress warmly: Big Sur is famously foggy, especially in the summer months. This 60-mile ride combines twists & turns with some of the finest scenery that Mother Nature can offer. You’ll marvel at dazzling Rocky Mountain vistas as you crest the Continental Divide through the heart of Rocky Mountain National Park. The road winds into glacier-cut valleys and switchbacks up through thick forests to reach alpine meadows. From Golden take Highway 6 through Clear Lake Canyon Park to reach Highway 119, the beginning of the Peak to Peak, which extends north along Highways 72 and 7 before dropping to Estes Park. Moose and elk are often seen here; keep to a safe speed, as hitting one could seriously ruin your day. Planning: Pack your hiking boots and walk a scenic trail, or pack camping gear for an overnight. 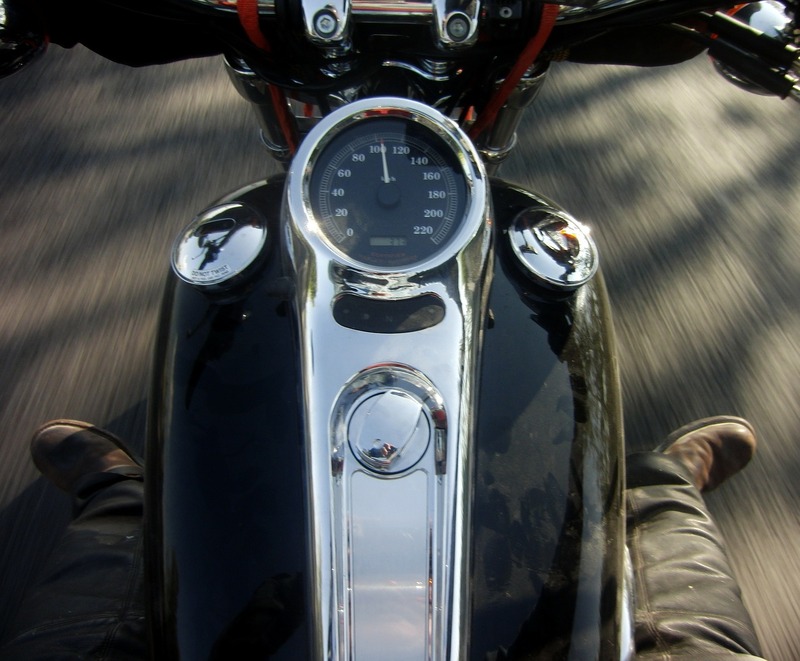 So famous that it’s been the subject of several movies and TV shows, U.S. 129 shows us 318 tight curves in just 11 miles and could well claim to be the number one motorcycle ride in the country for sheer exhilaration. This road will test your cornering skills. Fortunately, no trucks are allowed. The road spans Deal’s Gap at the border of North Carolina and Tennessee. Planning: Go to enjoy the ride, not to prove your bravado. The coastal section of Maine’s U.S. Route 1 from Brunswick to Machias—is a quintessential New England experience. The 167-mile stretch of two-lane road leads through quaint seaside villages and past dozens of historic lighthouses. Scenic detours are the name of the game as you meander through towns along the way, although the road does have some open sections with high-speed, sweeping curves. Keep two fingers on the brake lever in case a moose appears around the bend. Planning: Avoid summer, when the road can be lined bumper to bumper, and plan on stopping at one of the route's many lobster shacks. This iconic mountain route is on almost every serious motorcyclist’s must-do list. The northern section, in Virginia, passes Civil War battle sites as it ambles through the countryside. Farther south you climb into the Great Smoky Mountains, where the smooth, well-maintained Blue Ridge Parkway is known for its sweeping curves and breathtaking scenery. A 45-mile-per-hour speed limit means that you have time to take in the views, which reach a crescendo south of Asheville, North Carolina. For a longer ride, take the 105-mile Skyline Drive through Virginia’s Shenandoah National Park; the drive links to the parkway. Planning: Allow at least two days for this 469-mile ride. We wish you many miles of adventure - whichever destination you choose! Is your vehicle ready for that much-anticipated summer road trip? Rich White, executive director of the Car Care Council urges all drivers to make sure their vehicles are road-trip ready to minimize the chance of car trouble away from home. Check the battery and replace if necessary. Be sure the electrical system is charging at the correct rate; overcharging can damage a battery as quickly as undercharging. Excessive heat and overcharging shorten the life of a battery. These things are not terribly expensive to have done, but if they break while you’re on the road - they can take a huge chunk of your vacation budget to get fixed. Ways to Save Fuel on Summer Road Trips. Buy gas early or late in the day, especially during warm months. Gas is cooler earlier in the day, and more dense. As temperatures rise, gas density falls and you get less of it when you pump. Drive at a steady pace instead of speeding up and slowing down often; this results in gas efficiency. Avoid idling, which is a major waste of gas. Even while waiting at a railroad crossing, turn off the engine. Make sure tires are properly inflated. Under-inflation causes tires to wear out faster and wastes gas. Properly inflated tires reduce friction and offer better gas mileage. Maintain your engine and have filters checked and changed if necessary; a well-cared-for car uses less gas. Only use the air conditioner when necessary; roll the windows down during cooler times of the day or night. Park in the shade, if possible so that the car’s engine does not have to work so hard to cool the interior during hot summer days. Fill the tank near state lines, where gas prices are sometimes lower; stations at congested exits and in big cities often charge the highest prices per gallon. Download a gas app to learn where stations are located and where gas is cheapest. GasBuddy & AAA TripTik are two free ones for smartphones. Lastly, gas credit cards and some supermarket reward cards offer incentives to use toward gas purchases. But Consumer Reports suggests a rewards credit card over a gas card for a greater return. Plus, some stations reduce prices per gallon if paying with a debit card or with cash. Happy Anniversary to our Ohio Store! In July of 2003, we opened up shop in Calcutta, Ohio in what is now Calcutta Auto Parts on SR 170 beside Sheetz. Just a short distance from our current location. The growing market and friendly people are the reason we came to Calcutta. And also the reason we stayed. This July we celebrate 15 years in this area. We want to show our appreciation for the wonderful community support and to say thanks for 15 great years! If you’re in the area on July 13 we invite you to stop in and celebrate with us. We’re cooking on the grill, offering some special summer deals, giving away some concert tickets, t-shirts, lottery tickets, and one lucky customer can win a cooler filled with cash. We just want to say thanks to a community that has shown us so much support and to the people who have purchased cars from us over the years who are more like family than customers. Here’s to many more years in Calcutta! Welcome to the Good Wheels Blog! Lots of fun and exciting posts are ahead of us. Thanks for visiting and stay tuned!